If you look at any café breakfast menu these days, you'll be sure to find some sort of poached egg option. I used to always go for the poached eggs because I kept having poachie fails in the kitchen at home. But, alas, now you can choose whatever you damn well like, because I'm about to teach you how to make perfect poached eggs with that elusive runny #yolkporn yolk. *obvious, yes, but not just any egg. Poaching eggs is much easier the fresher your eggs are. If you're not sure, put the egg (shell and all) into a bowl/jug of water. If it sinks and stays on the bottom, that's the freshest you can get. If it sinks but kind of chills out on an angle, it's not too bad and probably about a week old. An egg that sinks but stays upright is a couple of weeks old and you should never, ever use an egg that floats. Generally, as long as your egg sinks and is somewhat on the long side, you'll be fine. Please also use eggs from happy chickens. I know not everyone has access to or can afford local organic biodynamic eggs (which are the top of the wozza in the egg world), and I fully support eating as well as you can within your means BUT eggs and chooks ruffle my feathers (...sorry not sorry...). At the very least, go free range. If you can get free range from the farmers market, even better. Organic free range from the farmers market, even better! And so on. They'll be cheaper there, too. 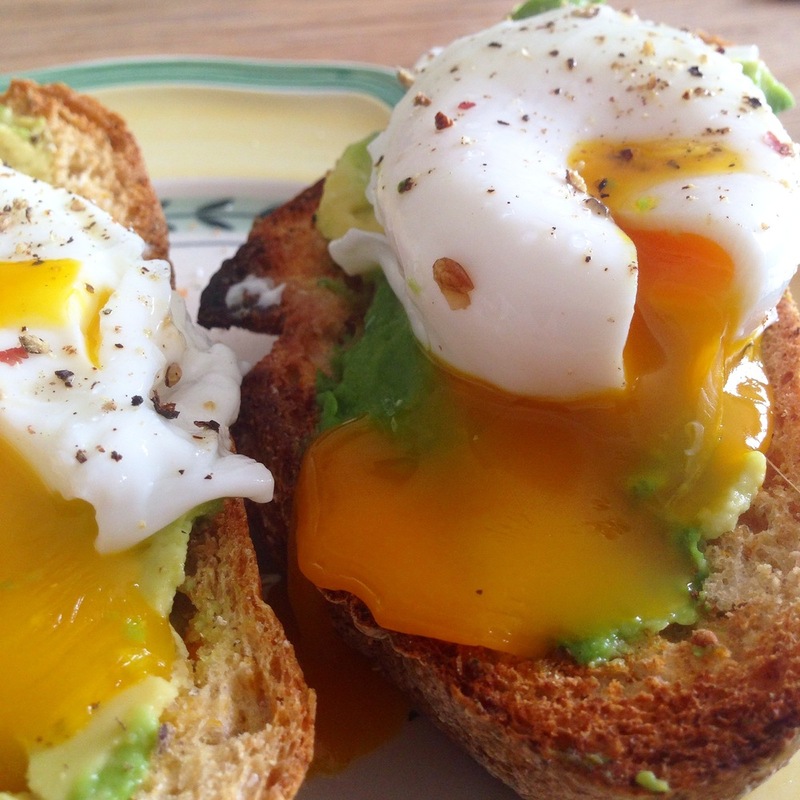 Some people find it's easier to poach an egg that is room temperature, rather than straight out of the fridge.